Gourmet petite sweets and desserts for dessert bars and catering. 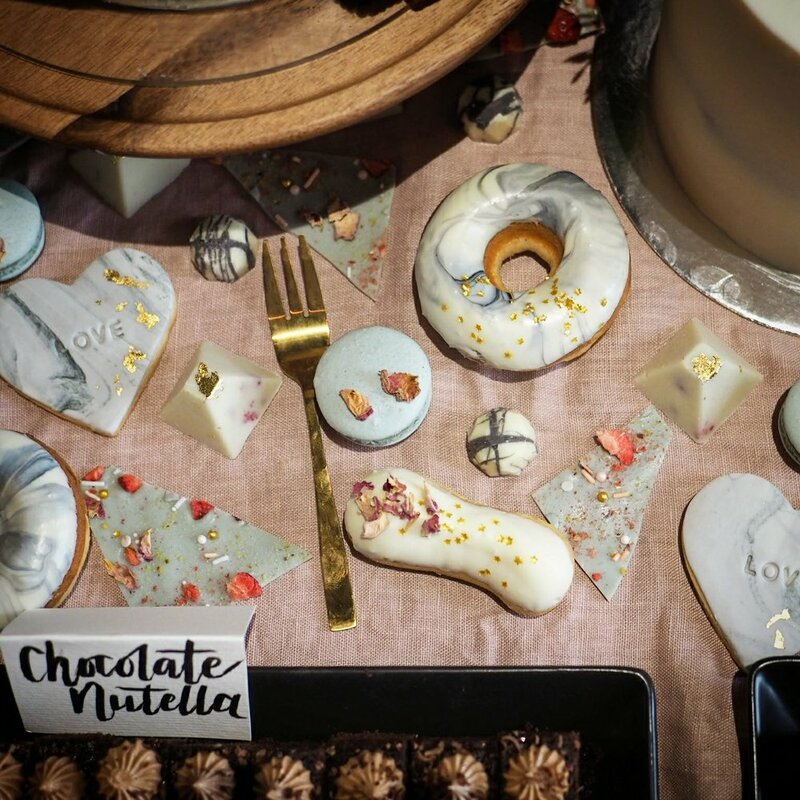 Meringue kisses, chocolate gems and shards, marshmallows, dessert cups, petit fours and so on. 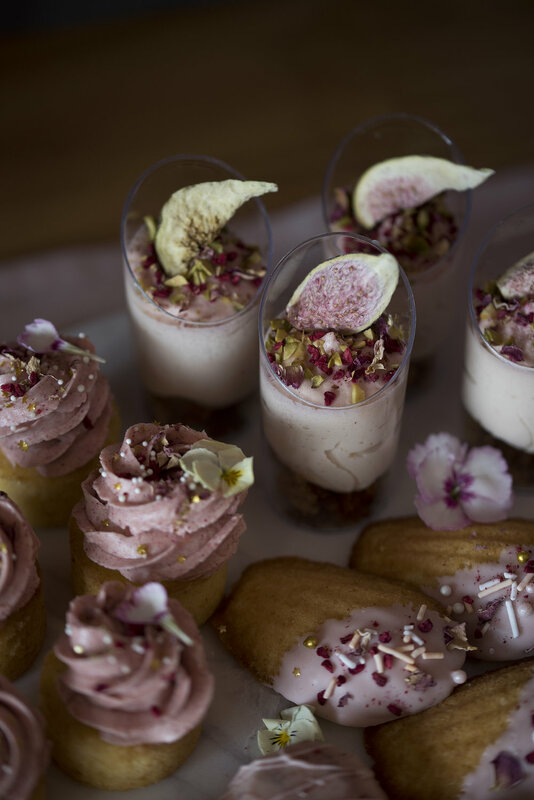 All sweets and desserts can be customised to match your event in both look and flavour. Sweets can also be designed and packaged for party favours or corporate events. We can cater for most dietary restrictions. Please contact us for our dessert menu and prices. 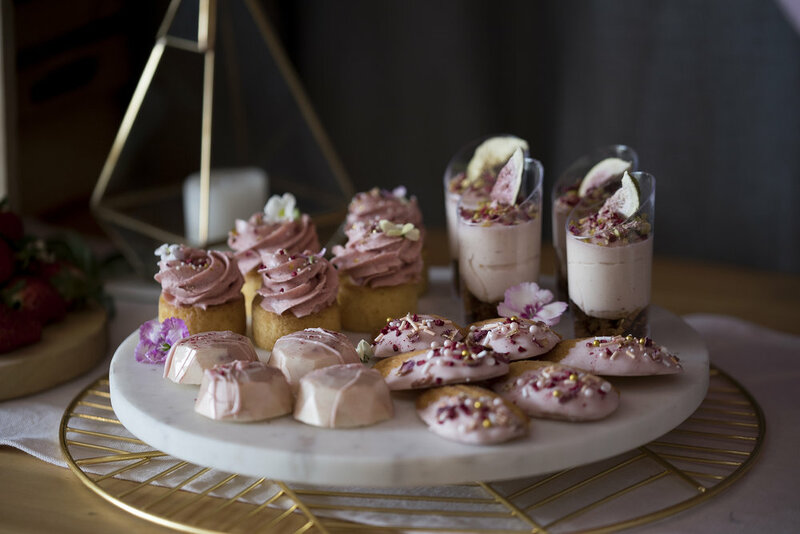 If you are after a bit of wow factor, Rebecca can work with other local vendors to style your dessert table. We have a number of cake stands and other props for hire and can liase with local hire companies if you're after something different. Grazing tables are a fab addition to any gathering, whether it is for savoury, cheeseboard or desserts. If grazing is what you want, we would love to add our sweet touches to it. Talk to us about what you have in mind!